The Lifestyle End of Season Sale (EOSS) is on and shopaholics are happier than ever before. There are discounts being offered on women’s wear, makeup, footwear, men’s wear, kid’s section, and almost everything out here. 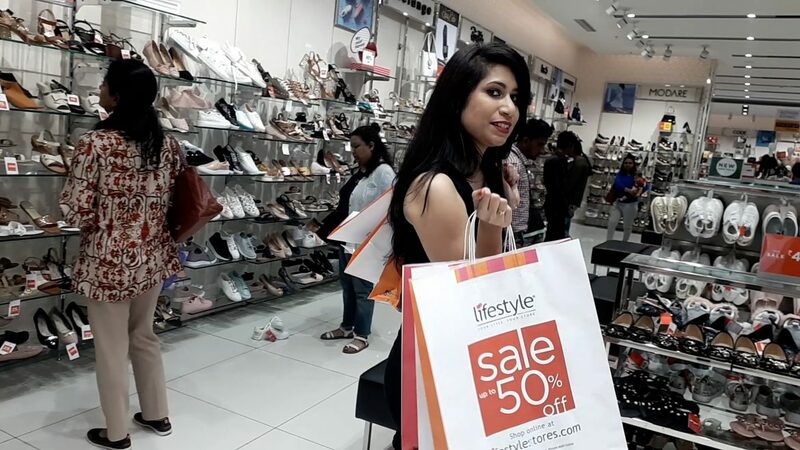 The Flat 50% is a treat for shopaholics who love to shop till they drop. I browsed almost everything in the women’s section and picked up so many things for a great discount. Fashionistas – this is the right time to revamp your wardrobe with the Lifestyle Flat 50% off for the EOSS going on at RMZ Galleria, Yelahanka New Town, Bangalore. Do view my video below. Have you checked out the Lifestyle EOSS? I love the jewellery collection at Lifestyle! I’ve sealed it with a kiss! Thank you, Lifestyle, RMZ Galleria, Bangalore. I’ve had a fun day here and loved your collection and service!